This biennial event will showcase the strength and diversity of the Australian automotive aftermarket industry, bringing the entire industry together with independent workshop owners and automotive technicians at this three day, trade only event. The 2019 Expo also represents an opportunity to meet with customers face to face, building relationships and gathering important product and service feedback from the professionals who are actually recommending and fitting your products or using your services. With just under seven months until the doors are opened at the 2019 Expo, exhibitor bookings are at an all-time high with over 90% of available floor space already sold, so you will have to act quickly if you want to ensure that you have a presence at this stand-out industry event. A very limited number of sponsorship opportunities also remain available to enable your company to feature more prominently at the 2019 Expo. These sponsorship packages represent excellent value and affordability, providing your company or brand with the opportunity to attract more front of mind customer attention at this biennial event. 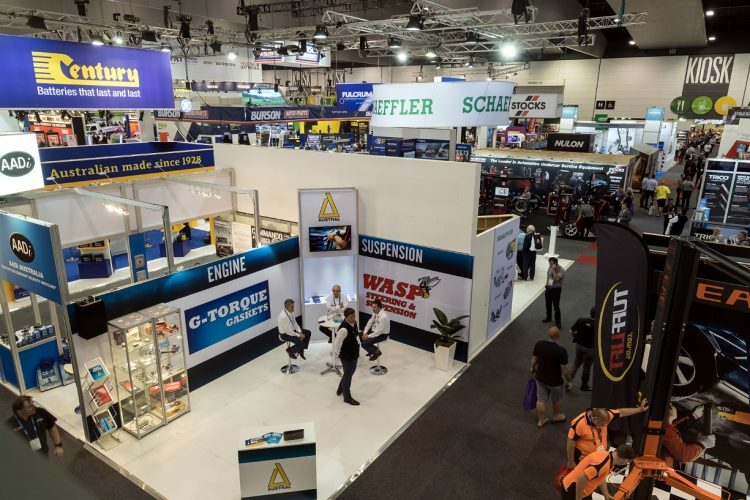 “Participating in the Expo as an exhibitor or sponsor gives companies the opportunity to align their brands with the largest and most successful automotive aftermarket industry event in Australia,” stated Stuart Charity, AAAA Executive Director. “With a limited number of stands still available and many of our sponsorship opportunities already taken up, we encourage you to act now to ensure that you take advantage of this one in two year opportunity to drive your business harder during this massive three day industry event. We are looking forward to what is shaping up to be our best Expo yet,” he added. For remaining 2019 AAA Expo exhibitor space enquiries contact Nina Roberts at IEC – 03 9596 9205 or by email: nina@iecgroup.com.au. To discuss the remaining 2019 Expo sponsorship opportunities that are available, contact Michelle Vizzuti at the AAAA on 03 9545 3333 or by email michelle@aaaa.com.au. For further information contact Paul Marinelli, Marinelli PR – 0417 558 655.